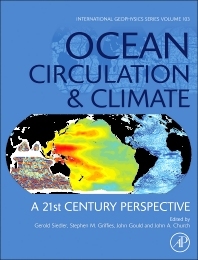 The book represents all the knowledge we currently have on ocean circulation. It presents an up-to-date summary of the state of the science relating to the role of the oceans in the physical climate system. The book is structured to guide the reader through the wide range of world ocean circulation experiment (WOCE) science in a consistent way. Cross-references between contributors have been added, and the book has a comprehensive index and unified reference list. The book is simple to read, at the undergraduate level. It was written by the best scientists in the world who have collaborated to carry out years of experiments to better understand ocean circulation. Gerold Siedler is a physical oceanographer at the marine research institute in Kiel/Germany. He established a highly regarded ocean observing unit and participated in almost 30 research cruises. His research focused on ocean processes and circulation in all three oceans. He was professor at Kiel University, Director of the marine research institute IfM (1976-1978) and Dean of the Faculty of Mathematics and Sciences (1991-1992) at Kiel University. In addition he worked as visiting investigator abroad, in particular at the Woods Hole Oceanographic Institution in the USA, including teaching in the WHOI/MIT joint program. He performed research at the University of Miami, the Jet Propulsion Laboratory/Pasadena, the University of Hawaii in the USA, the Laboratory for the Physics of the Ocean, Paris and Ifremer/Brest in France, and as a Humboldt researcher at the University of Cape Town in South Africa. He served in leading functions in major international ocean/climate programs, in particular GATE and WOCE. He was a vice-president of the Association for the Physical Sciences of the Ocean (IAPSO, 1975-1979) and a president of the Scientific Committee on Oceanic Research (SCOR, 1983-1988) at ICSU. He published 77 peer-reviewed papers, authored or edited 4 books and contributed to 18 books. He is now Emeritus Professor at Kiel University. Stephen Griffies is a senior scientist at NOAA's Geophysical Fluid Dynamics Laboratory in Princeton, USA. He is an expert on physical and numerical aspects of ocean circulation models and their applications for understanding and predicting large-scale climate phenomena. His research focuses on questions related to global and regional sea level; ocean mesoscale dynamics and parameterizations; climate predictability; physically based analysis methods; and numerical algorithms. He is a leader in projects associated with the World Climate Research Programme (WCRP), having led the WCRP/CLIVAR Working Group on Ocean Model Development as part of coordinating ocean climate modeling efforts worldwide. 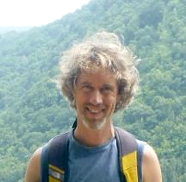 Besides his 20 years in Princeton, he has worked for extended periods in Australia on topics related to the ocean climate modeling, Southern Ocean dynamics, and physical ocean processes. He authored a standard monograph on fundamentals of ocean climate models and co-authored more than 80 peer-reviewed research articles. He was awarded the 2014 Fridtjof Nansen Medal from the European Geosciences Union for contributions to oceanography. John Gould (sometimes known as W. John) has had a long career in ocean research mostly focused on the collection and interpretation of ocean current measurements. His career started with working with John Swallow, who first developed the neutrally buoyant float at the UK National Institute of Oceanography. He led many research cruises in the North Atlantic Ocean. He was Project Director of the World Climate Research Programme’s World Ocean Circulation Experiment- WOCE (1993-2002) and of its Climate Variability and Predictability Study -CLIVAR (1998-2002). From 2002-2006 he directed the international Argo profiling float project. At various times he has chaired the ICES Oceanic Hydrography Working Group and been a member of the executive of the International Association for the Physical Sciences of the Ocean and a member of the advisory board for Australia’s Integrated Marine Observing System (IMOS). He has an interest in widening public awareness of marine science and of the oceans’ role in climate. He is a member of the International Union of Geodesy and Geophysic’s History Working Group and is a visiting scientist at the UK’s National Oceanography Centre. Southampton Oceanography Centre, Southampton, U.K.
John Church is a CSIRO Fellow with the Centre for Australian Weather and Climate Research. His area of expertise is the role of the ocean in climate, particularly anthropogenic climate change and sea-level rise. He has been a Principal Investigator on NASA/CNES satellite altimeter Science Working Teams since 1987. He was co-convening lead author for the Chapter on Sea Level in the IPCC Third and Fifth Assessment Reports. 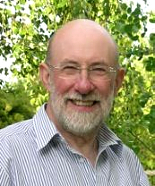 He Co-Chaired the international Scientific Steering Group for the World Ocean Circulation Experiment from 1994 to 1998 and Chaired the Joint Scientific Committee of the World Climate Research Programme from 2006 to 2008. He was awarded the 2006 Roger Revelle Medal by the Intergovernmental Oceanographic Commission, was a winner of a CSIRO Medal for Research Achievement in 2006, won the 2007 Eureka Prize for Scientific Research and presented the 2008 AMOS R.H. Clarke Lecture. He is the author of over 120 refereed publications, 80 other reports and co-edited three books. He is a Fellow of the Australian Academy of Science and the Australian Academy of Technological Sciences and Engineering.